A Circus Lion Attacks A Performer And It’s SHOCKING! No one in the audience knew what was coming when they took their seats for this circus performance in Ukraine. 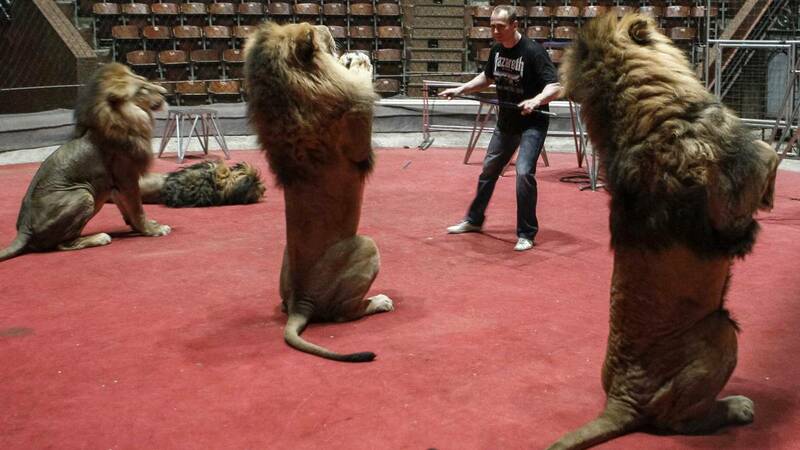 The show began as per usual, and the crowd cheered when trainers brought out some lions who executed their tricks. While many animal rights activists insist that animals shouldn’t be subjected to a life in the circus, the issue didn’t really make major news headlines…until now. The video below is quite frightening, and proves why animals are meant to stay in the wild. The audience began screaming, but not before the event was caught on film.